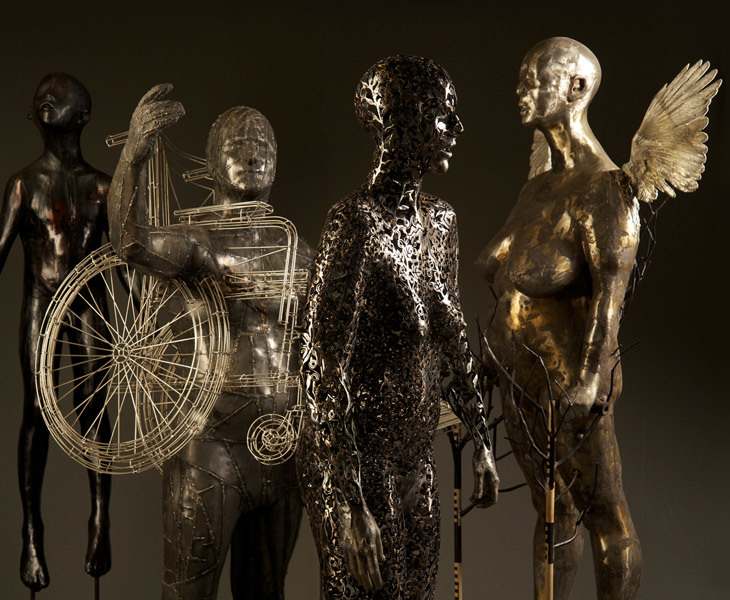 The Syndicate exhibition is an installation of ten individual figures which hint at having interlocking relationships. This exhibition was supported by a unique project of syndicated sponsorship. The works were purchased before the works had begun, with payments made progressively during their creation. Unlike public art, there was no real design brief. The project began with an invitation to speculate. From the beginning this project was intended to be ongoing, changing the artist and the syndicate members. The next Syndicate Project artist is Peter Dailey.